A new, fashionable venue for your break in the Quadrilatero was opened at number 9 of via Monte Napoleone. Historic Pasticceria Marchesi, now owned by Prada group inaugurated the brand’s second pastry shop, featuring the most top-quality salty and sweet delicacies of Milanese tradition. The two inner tearooms boast large glass showcases filled of the pastry’s traditional pralines, small cakes and salty treats. The delicious creations are surrounded by chic pastel colour packagings, marble floors and counters, glass showcases on the walls and bright lights, all expression of the Marchesi and Prada brands’ elegance. 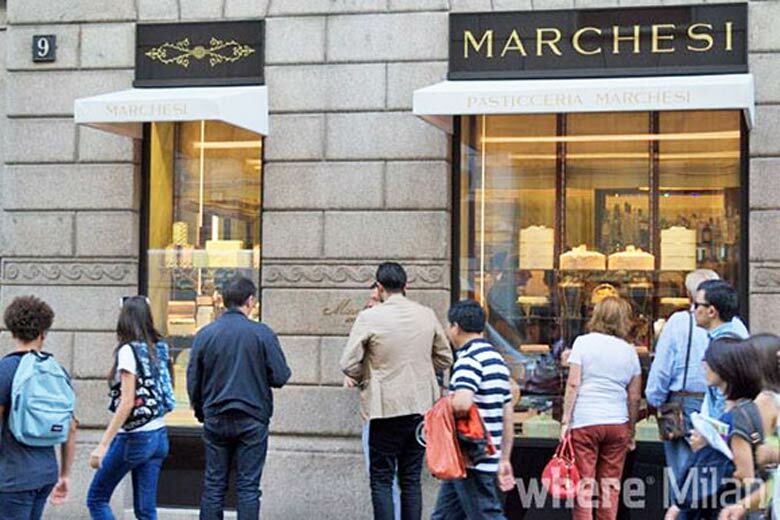 For those who are looking for a boutique where fashion and patisserie meet, Pasticceria Marchesi truly is an unmissable venue!